This is a piece from Private Eye’s issue for the 27th November to0 10th December 2015 issue. It’s an article reporting the death of a man suffering from diabetes, Alan McArdle, after he failed to attend ‘work related activity’ sessions with Maximus. The article makes it very plain that the Eye sees it as further proof of the harm aIDS’ policies are having on disabled people, and those genuinely unfit for work. Yet more evidence has emerged of the often devastating impact of the government’s welfare reforms on those with disabilities after Alan McArdle died of a heart attack less than an hour after learning that the Department for Work and Pensions (DWP) was threatening to cut his out-of-work disability benefits. Mr McArdle is the latest claimant to have fallen foul of a push to force people off sickness benefit and into work, no matter how ill they are. Mr McArdle, whose diabetes left him with no feeling in his arms or legs, had just come out of hospital following a fall and was too unwell to visit the offices of Work Programme contractor Maximus for sessions of compulsory “work-related activity”. Even though the charity Slough Homeless Our Concern, which had worked with Mr McArdle for 16 years, told Maximus he was not well enough to travel to its offices, the company recommended to the DWP that he be sanctioned with the loss of benefits. Slough MP Fiona Mactaggart said it was “shocking” that the only way Mr McArdle could prove he was not well enough to take part in the Work Programme was by dying. Details of his death emerged as new research from Liverpool and Oxford universities concluded that the government’s controversial “fit to work” tests for disabled claimants, which Mr McArdle faced, were associated with an extra 590 suicides in just three years and 279,000 cases of mental ill health. Eye readers will be aware that the tests, until recently run by Atos, have attracted widespread criticism for delay; for being too prescriptive, leading to devastating errors; and for leaving claimants stressed and penniless. Ministers continue to claim that any link to suicide or death is “misleading”- even though they received a formal warning in 2010 in a “Rule 43” letter from a coroner after a suicide “triggered” by a wrong dining of “fit for work”. The coroner urged improvement in the collection of medical evidence before finding someone fit for work, in order to prevent further unnecessary deaths. It is now being asked why work and pensions secretary Iain Duncan Smith and former employment minister Chris Grayling failed to respond substantively to the coroner back in 2010 – as they are legally obliged to. Nor did they pass on the coroner’s concerns to Professor Malcolm Harrington, the independent expert commissioned to review the tests in the wake of widespread concern. Let’s make this very plain, and itemise some of the salient general points about the policy as a whole. * Private Eye concurs that there is a real and overwhelming link between aIDS’ policies and the deaths of disabled people. The Eye is, presumably, sure of the legal basis of its claim. It is a magazine, after all, that has had a very long history fighting libel battles, and I doubt Ian Hislop, the editor, fancies another appearance in court. * It also mentions studies by Oxford and Liverpool Universities. 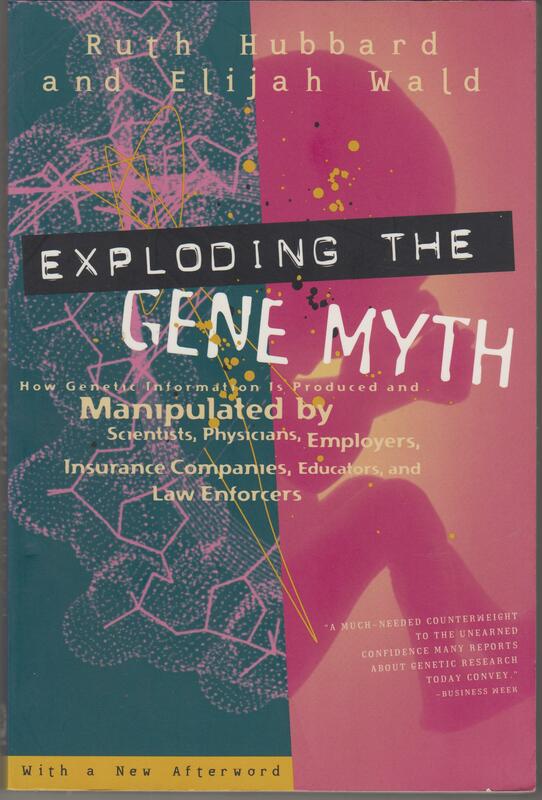 This sounds like the book, First Do No Harm, mentioned in Mike’s article. * The Eye cites the figures of 590 suicides and 279,000 cases of ‘mental ill-health’. Vox Political has put up some of these suicides. So has Stilloaks, who put on a website the increasing number of this foul policies helpless victims. Tom Pride over at Pride’s Purge has also covered it, along with many, many others. And Mike has also reported the various reports and warning about the policy from mental health practitioners – the doctors, psychiatrists and psychologists, who have to treat severely vulnerable people, who have been made seriously depressed or turned into genuine nervous wrecks from …Smith’s callous, inept and cruel policy. * A coroner has come to the same conclusion as the Eye, and informed aIDS and his vile colleagues under a legal instrument. * Furthermore, aIDS has broken the law by not responding to the coroner’s “Rule 43” letter, and he and Chris Grayling also did not pass it on to an independent researcher, Professor Malcolm Harrington. This is truly a perverse and lawless administration that has absolute contempt for both the disabled and the laws and legal and academic authorities, who try to protect them. Mike has issued a challenge to aIDS stating that he has made outrageous claims about the Gentleman Ranker, and that the Spurious Major should prove him wrong. IDS can’t and probably won’t. … Smith is the stereotypical bully: once confronted, he runs away and starts squealing. He has hidden from protestors behind armed guards in parliament, run away from them out the back way of a Job Centre, and hidden in laundry baskets in hotels. These are acts of such magnificent cowardice that you could probably turn them into a brilliant comedy film. He’s just as craven when it comes to producing evidence. When it’s demanded, his tactic has been to find some spurious reason to turn it down, or stonewall the request, and appeal at the very last minute. And then finally to misinterpret the terms of the request quite deliberately so that he can send the wrong information. Now he’s squealing that people have been making ‘outrageous claims’ about him. This is wrong. They’ve been making entirely reasonable statements, based on solid factual evidence, about aIDS’ policies and their effects. The only thing that’s outrageous are precisely those: that nearly 600 men and women have killed themselves due to his wretched policies, and over a quarter of million have been driven into depression, anxiety and madness. And this coward, bully, braggart and fantasist has the audacity to declare that he’s being maligned. Well, Mike’s right. The facts speak for themselves. Let this monumental sham and incompetent prove otherwise. Private Eye in their edition for the 4th to 17th September 2015 also carried this report about ATOS’ continuing abysmal performance, this time in administering the Personal Independence Payments introduced by the Tories. Outsourcing giant Atos no doubt thought that pulling out of its contract to carry out the governments “fitness for work” benefits tests would draw a line under five years of bad publicity over its pisspoor performance. But last week the Department for Work and Pensions was finally forced to reveal figures showing that about 90 people a month were dying with 14 days of being declared fit to work under Atos’ watch. And now the claims of poor practice have shifted to the way Atos assesses some people for a different disability benefit – the new personal independence payment (PIP), which is gradually replacing disability living allowance (DLA). In July the Disability News Service revealed that in parts of the country where Atos was running the PIP show, the proportion of disabled people stuck in the queue for an assessment was more than five times higher than in areas managed by rival Crapita. Now people who have managed to be assessed by Atos claim they have fallen prey to inaccurate and misleading reports that affect their benefit claims. Colin Stupples-Whyley, for example, says an Atos nurse wrote that he had attended the PIP assessment alone – even though his civil partner sat with him throughout the interview. He was only able to prove he had not been alone because his partner had signed in to the Atos visitor book. Mr Stupples-Whyley has agoraphobia, general anxiety disorder, depression, fibromyalgia and diabetes, but the impact of these impairments was he says, ignored or misrepresented by the Atos assessor. The assessor wrote that his mental health conditions had ben diagnosed by a “counsellor” when in fact he was on medication prescribed by a psychiatrist; his long list of diabetes symptoms was reduced to “urinates a lot”; and a panic attack during the assessment was not recorded. Mr Stupples-Whyley claims the entire section of the form devoted to a physical examination supposedly carried out by the nurse was fabricated, as no test took place. This is remarkably similar to the experience of Colleen Hardy, who also has several chronic physical and mental conditions. She was able to prove that the Atos physiotherapist who assessed her (this time for the old fitness-to-work test) had inaccurately reported she had climbed a flight of stairs without help and by holding on to a bannister, because she was actually helped by her community psychiatric nurse and a friend! Different benefits, but same old Atos story. * Mr Stupples-Whyley so distrusts Atos he has turned down the offer of a reassessment and is taking his case to a tribunal. 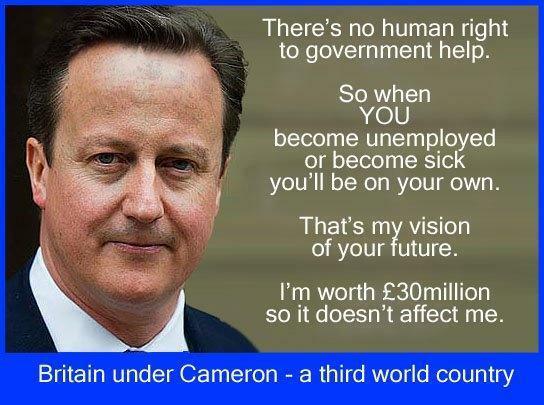 As the Eye itself points out, this is merely case of Atos carrying on as they always have done. Only the benefit they administer is different. 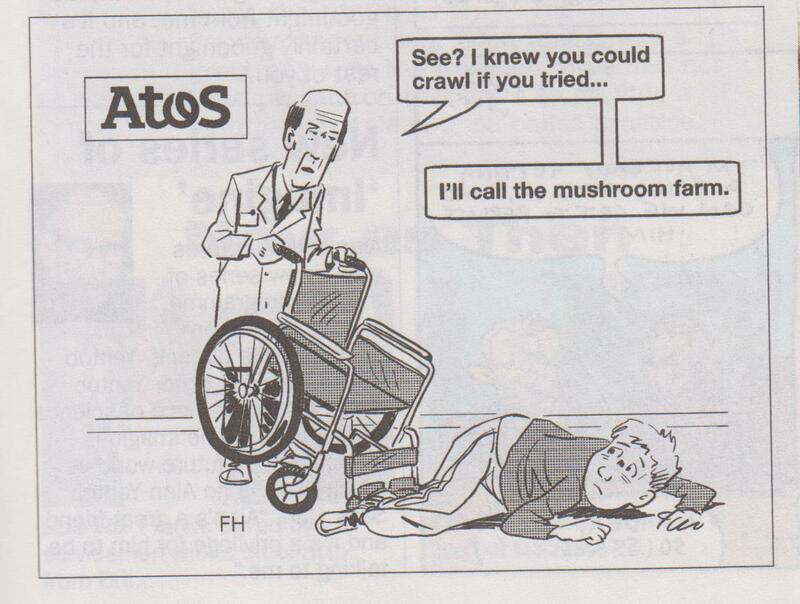 Atos’ cruel attitude to claimants and their determination to declare everyone ‘fit for work’ is satirised in this cartoon on page 27 of the same issue. If you can’t read it, the speech bubble from the doctor says ‘See? I knew you could crawl if you tried… I’ll call the mushroom farm’. Atos aren’t quite that bad, but there’re extremely close. The mobility test does involve the patients’ ability to walk a minimal number of yards, and there have been cases where wheelchair users have been told to come to offices on the upper floors of buildings for their assessment without adequate wheelchair access. And the above article describes how they were determined to find Colleen Hardy able to walk, even though she needed to rely on the assistance of a nurse and a friend. Atos, however, shouldn’t take all over the blame. They were hired by New Labour to find a set proportion of people fit for work according to the Neoliberal ideas coming over from Bliar’s friends in the big transatlantic corporations. And New Labour’s involvement in no way exonerates the Tories. Bliar in many ways simply carried on the Thatcherite project, which has in its turn been carried on and massively expanded by Cameron and IDS. The whole system is rotten and desperately needs to be changed. A good start would be by sacking Atos, Crapita, and the old charade of fitness to work assessments. Friday’s Independent carried news of research by Imperial College London that that the private and voluntary healthcare organisations that have bought into the NHS perform worse than the traditional GP system. New Labour in 2004 opened up the NHS to private healthcare firms like Virgin Healthcare and Care UK, and also social enterprises and voluntary organisations. At the moment, these organisations provide 347 GP surgeries out of the total 8,300 in England. The Indie noted that these firms typically served more deprived, younger and diverse populations than normal, state-run surgeries. The study, published in the Journal of the Royal Society of Medicine, found that these private, voluntary and social organisations provided worse service than the state in 15 out of 17 key areas. These included patient satisfaction, diabetes control and keeping patients out of hospital. Supporters of these private GP services criticised the study’s findings on the grounds that like was not compared with like. This is, nevertheless, a blow to the supporters of the piecemeal privatisation of the NHS under the Tories and Lib Dems. 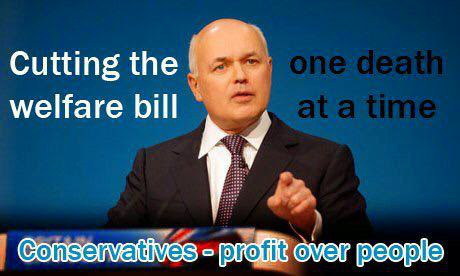 There are 92 MPs in the coalition parties, who either own, or have senior positions in the private healthcare firms seeking to profit from the NHS, including the minister for chequebook genocide, Iain Duncan Smith. Andrew Lansley and Jeremy Hunt have both spoken out in favour of the privatisation of the NHS. One Tory politico even stated that it wouldn’t exist if the Tories won a second term. When this was reported, Tory Central Office immediately went into emergency spin mode, and claimed he’d been misreported. They said instead that what he meant was that the NHS would be transformed by the removal of all the bureaucracy. And the Kippers have been very outspoken in their desire to privatise the NHS. The Purple Duce, Nigel Farage, claims he doesn’t want to privatise it, but has said that he wants state funding to be replace by private insurance. Which means privatisation. His deputy, Paul Nuttall, has stated very clearly that he wants it privatised. I can’t remember if it was Nuttall, or one of the other Kippers, who went off and compared the NHS to Nazi Germany. This says much about the extreme Right-wing hysteria running through UKIP. They really believe that any kind of state intervention = Nazism. Because the Nazis put ‘Socialist’ in their name. As for the Tories’ claim that their people don’t advocate the privatisation of the NHS: they’re lying. The bureaucracy has actually increased in the NHS due to the introduction of privatisation, PFI and the internal market, the basis of which was introduced by Peter ‘I’ve got a little list’ Lilley’ in the 1990s under John Major. As for not keeping people out of hospital, from the point of view of private medicine this is just good, profit-making sense. Private hospitals make their money from treating people. Therefore, they have a vested interest in making sure as many people are sent to them as possible. It’s why the private healthcare system of the US is riddled with cases where people have undergone unnecessary surgery. Earlier today I reblogged a video that has been sent out by 38 Degrees, asking people to use their vote to defend and protect the NHS. I notice that a number of my readers here have already reblogged in their turn. Thanks! We’ve got to do all we can to stop the privatisation of the NHS. And that means definitely not voting for the Tories, the Lib Dems and very definitely not the Kippers. Mike over at Vox Political posted this piece on Tudesday commenting on the Tories’ latest attempts to pull out or alter the format and content of the Leader debates as soon as they look like they’re going to be potentially embarrassing. The article’s entitled Tories run from welfare debate after Cameron’s Marr Show disaster, as it discusses the way Cameron was due to debate Ed Miliband about welfare policy. In the event, he didn’t, and pulled out. This came after he was humiliated on the Andrew Marr when he was asked if he understood the terrible suffering his welfare cuts were causing ordinary people. Marr specifically raised the case of David Clapson, a diabetic former soldier, who died after his benefit was sanctioned. This left him unable to afford food, or pay for the insulin he needed. Cameron hummed and ha-ed a bit, as he usually does when faced with a question he doesn’t like, and for which he doesn’t have answer specially prepared by Lynton Crosby or the other policy wonks at Tory Central Office. He claimed that the benefit cuts had seen people get back into work. They haven’t – see Johnny Void effective demolition of this claim over at his blog, as well as Mike’s own pieces on this. Then he made the devastating admission. He thought it was entire right that people should suffer such deprivation, if they did not comply with the DWP’s demands. Cameron’s responses indicate that he seems to think it was right for Mr Clapson to die as punishment for missing a single Job Centre appointment (for reasons that have not been disclosed). He refused to accept that the system should be reviewed. Cameron clearly felt deeply humiliated by the interview. The Mirror reported that Cameron and his cronies stormed off without going back to the green room afterwards to chat with the other guests. As for his demeanour when Paxo had asked him a similar, difficult question, Private Eye stated that it left him in ‘silent, puce fury’, as though his fag had dared to cheek him back. Like all bullies, they like to torture the weak. When public opinion rises up against them and they have a choice between “fight” and “flight”, they run like rabbits. Mike’s article is at http://voxpoliticalonline.com/2015/04/21/tories-run-from-welfare-debate-after-camerons-marr-show-disaster/. Go there and read it for yourself. Mike’s article also has the highly relevant memes. This one below is specifically about David Clapson. The other is on how Cameron plans to cut all social security spending, leaving the poor and sick to fend for themselves. In the comments section to his post on the duplicitous comments of Mike Penning, the current minister for the disabled, which I’ve reblogged here, my brother has also posted Paula Peters description of her meeting with the Rt. Hon. gentleman in a lift during her recent visit to parliament. Penning has told the press that he intends to cut down the time it takes to process claims for DLA and other benefits to stop cancer patients dying before they have received their due benefits payments. On the other hand, he has also told the Labour Party and the disabled themselves that it’s all the disabled’s own fault their disabled, and that diabetes is a life-style choice(!). I can remember the storm of protest that bust out way back in the 1990s when the current England manager said something similar. He was into various New Age philosophies, and announced that the reason disabled people were so afflicted was because of the bad karma they had brought upon themselves for sins and misdeeds they had committed in a previous life. The disabled and the British public in general were massively unimpressed, and the aforementioned Ron Manager had to do some very quick talking. Penning should similarly be taken to account for this unpleasant and simply wrong comments. Here is Paula Peter’s account of her meeting with Penning. It’s ultimately taken from her facebook page. I’m not on Facebook, however, so I’ve taken it from Mike’s comments column to his piece on Penning. My apologies if any of this is inaccurate. Said, please do not say that disability and illness is our fault, BECAUSE IT IS NOT no one deserves to be born with a disbability, be struck down with a terrible physical or mental illness, no one, and said to him, Mr Penning you too, could develop an illness or disability, no one is immune from having an illness. Please do not say diabetes is a life style choice, if you do not know anything about it educate yourself on it as ignorance can cost people ignoring symptoms of diabetes and getting checked and ignorance with illness costs lives. I said Mr Penning Type 2 diabetes is hereditary in families if one member has type 2 the chances of another member getting the disease is higher, and then had a dig, by your waistline Mr Penning, you had better check your sugar levels, too many meals in the subsided restuarant there eh? Then said two weeks ago on 25th November you said to the labour party during DWP questions when they raised the issues about the welfare death statistics and the W.C.A that they should stop scaremongering. Well I have lost 18 friends, thousands have died because the stress and fear has made thier health detoriate and many have died by their own hands I know poeple who have lost loved ones, care to comment to them about that as the goverenmental polices are devastating many lives? My last comment was this. in april 2013, my six year old niece abigail with type 1 diabetes was denied DLA as they said she had no care needs at night, she is 6, has constant hypos and toilet accidents at night, and has a canular attached to a stomach pump and needs constant care day and night at school and at home. That she and the family were put through the ordeal of an appeall and were one week away from a tribunial when DM overturned decision and upgraded her care needs. I said my brother heard from me about your remarks about Diabetes being a life style choice. He has written to you a letter how diabetes affects his children of 6 and 9 his wife who is 37 and him who is 39 all type 1 diabetics. They would like a response from you about the ordeal they had with DLA over their daughter and the DWP and a response to the anger and upset you have caused by your remarks about diabetes. I placed my brother letter in his hands. Paula’s comments are a very sobering corrective to the image of diabetes that can be inadvertently given by the news. The coverage of the ‘obesity epidemic’ naturally refers to the increase in diabetes as a consequence of modern excessive eating and the consumption of foods with an extremely high calory content. This seems to have given the impression that if people are diabetic, it’s because they are somehow ‘fat slobs’. Paula’s comments to Penning are a clear refutation of that. It is particularly heartbreaking to hear of children as young as six and nine with such severe disabilities. I hope that despite such horrific disability, they still manage to lead a full life, however. One of the chaps I met when I was a re-enactor was a young lad, who was similarly fitted with an intravenous tube. I think it was because he had severe kidney condition. Nevertheless, despite the danger to his health, he had a girlfriend, an active social life with many friends and fought on the battlefield with the best of them. I hope Paula’s relatives are similarly able to overcome their difficulties. In the meantime, however, Penning deserves to be kicked up and down the Houses of Parliament for his ignorant and extremely insensitive comments.